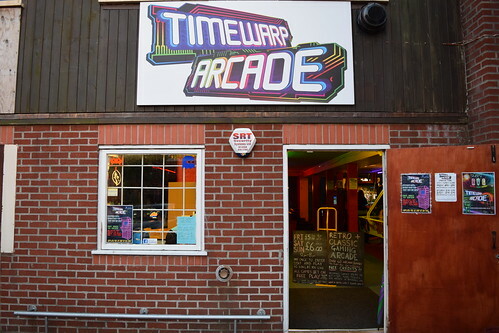 Timewarp Arcade is a new arcade in Bridgwater, Somerset. 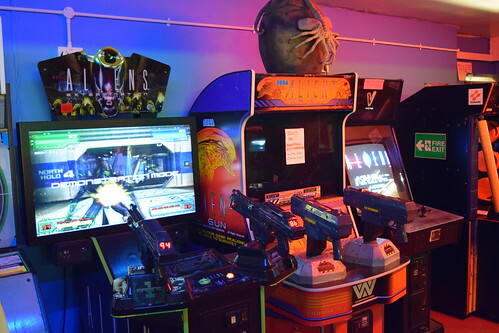 The arcade has a great selection of games, including some awesome titles I haven’t seen / played for a long time. 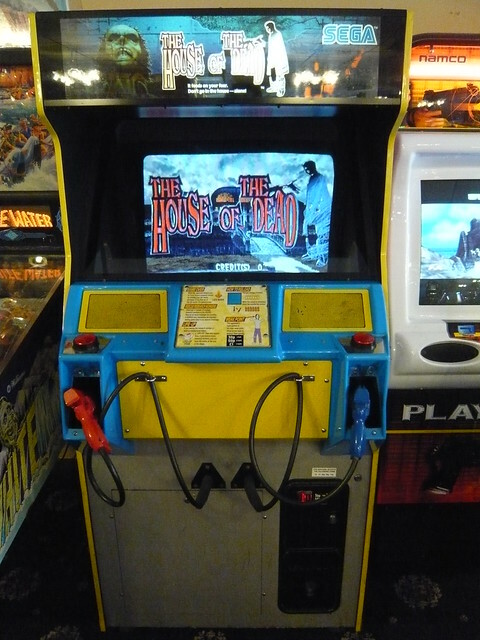 I remember credit feeding this to completion with a friend down the seafront one Saturday afternoon. 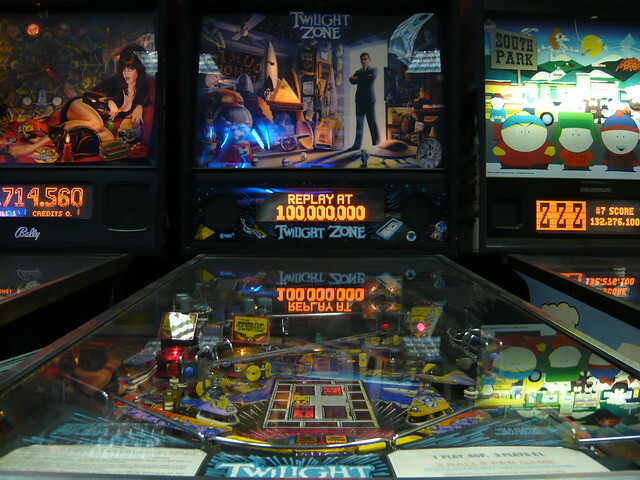 Not a gaming accomplishment to be proud of, but great fun! 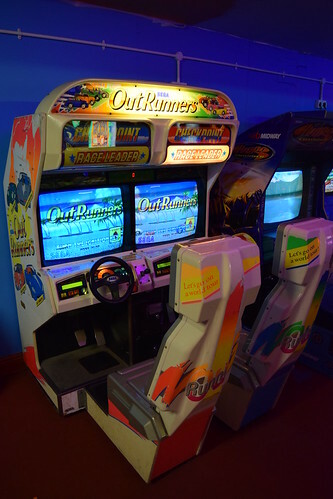 I was really happy to see OutRunners. 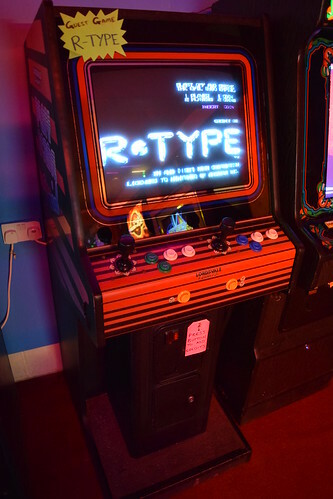 Developed by AM2 and released in 1992, I remember playing it at Leisureland, Great Yarmouth. 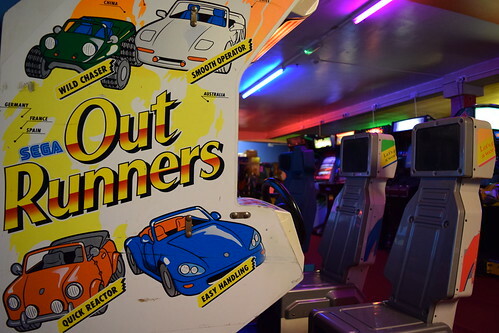 There are eight vehicles to choose from, but I tend to stick with the trusty red Ferrari Testarossa (it wouldn’t be OutRun without it!). 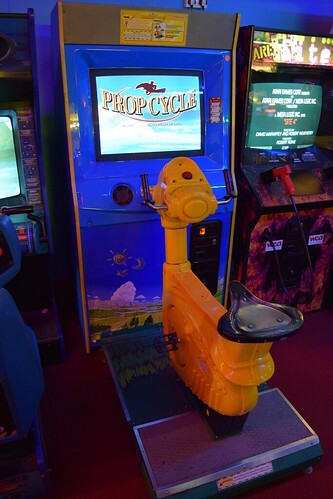 This time your racing across the world. 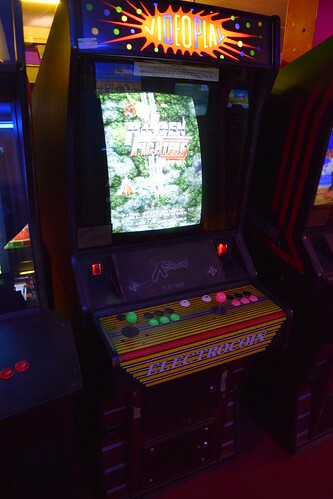 The stages are impressive, some of my favourites being Japan, complete with cherry blossoms, temples and Mount Fuji, and weaving between trams on the Hong Kong night stage. 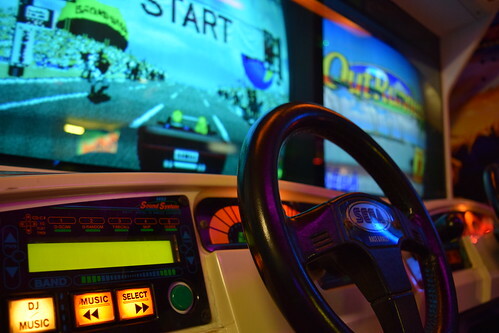 The ‘Sega Sound System’ serves as your car radio. 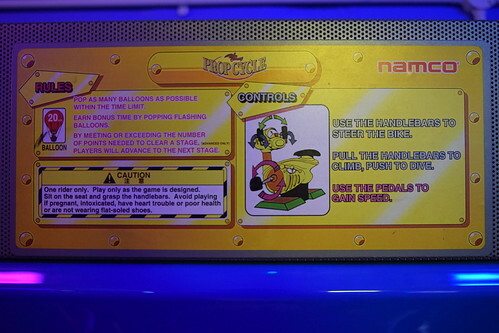 I really like the remixed versions of Passing Breeze, Splash Wave and Magical Sound Shower, very cool. 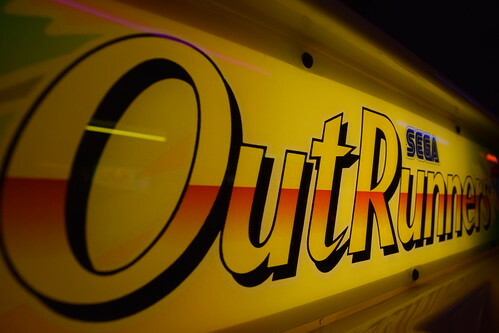 Whilst it never reached the same levels of popularity as the original, OutRunners is loads of fun and an awesome update. 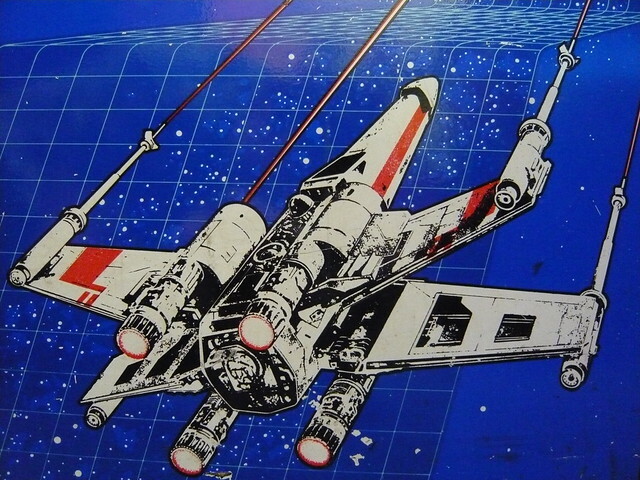 Another title I enjoyed back in the day and haven’t seen for years. 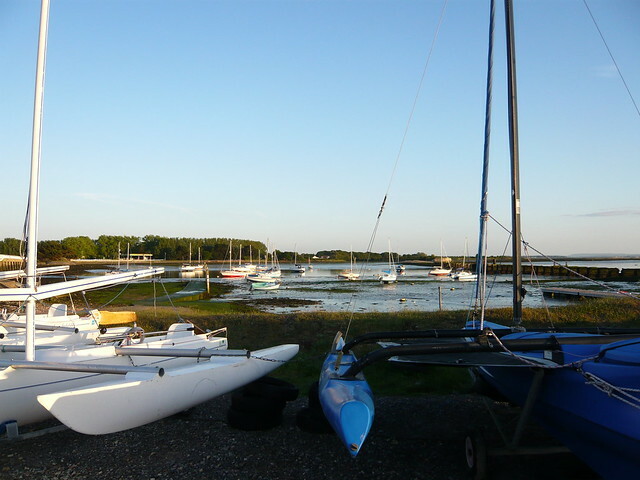 Great fun and a good work out as well! 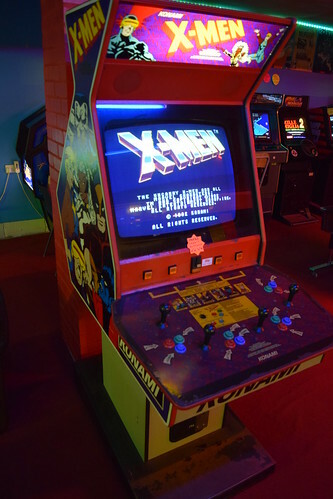 Konami’s Teenage Mutant Hero Turtles and The Simpsons proved extremely popular and were in all the arcades, but X-Men remained pretty elusive. 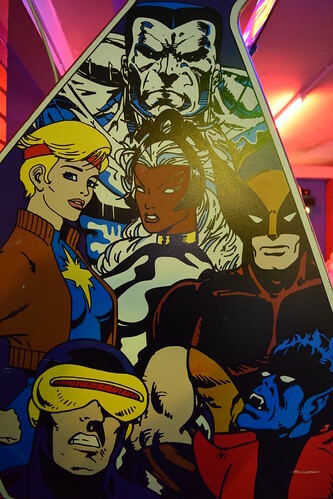 I guess back in the mid nineties X-Men didn’t have the same market appeal in Europe, or perhaps scrolling beat-em-ups had started to lose their appeal? 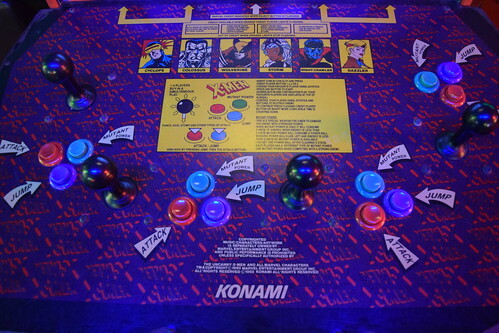 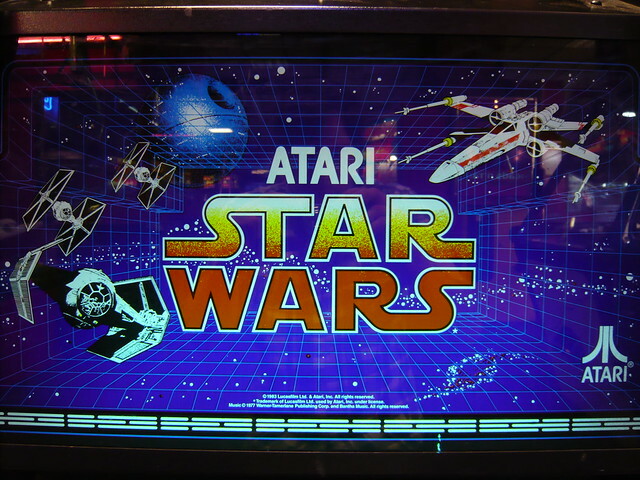 I only recall playing it at the arcade at Gatwick airport, and the cabinet was the awesome six player dual screen version. 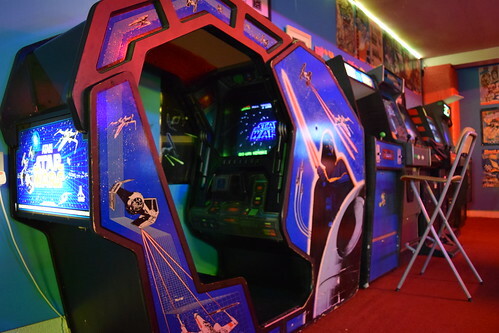 Gatwick arcade was awesome with some seldom seen games, including Sega’s Wing War and Hologram Time Traveller. 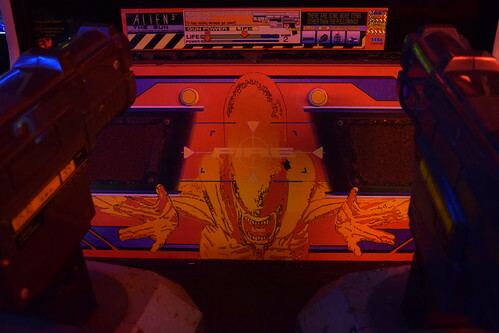 Clearly the owner is a big fan of the xenomorphs. 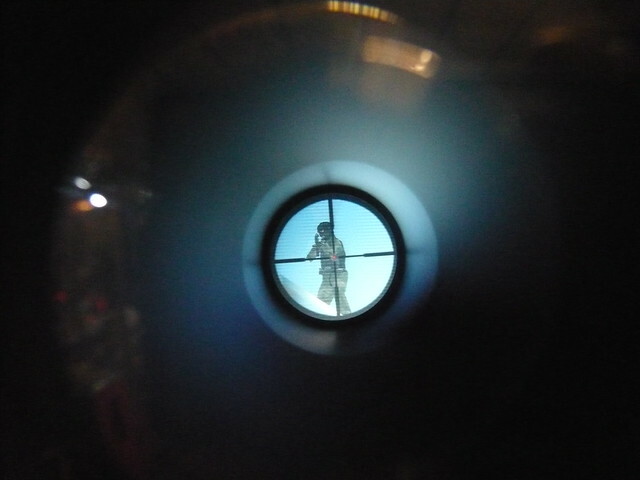 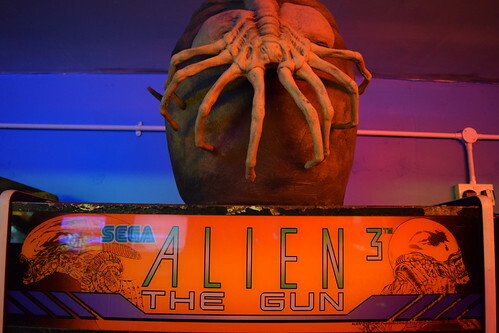 Alien 3 The Gun is a recent addition to the arcade and is awaiting repair work. 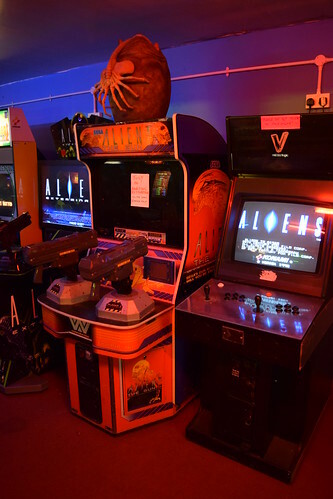 Hopefully it will be up and running on my next visit. 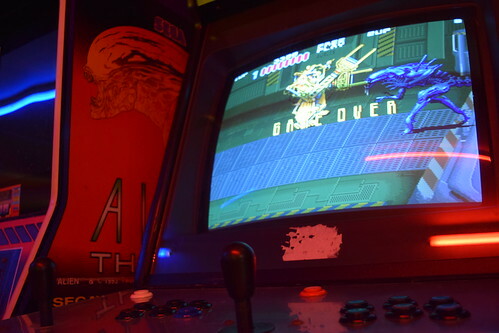 Shoot-em-up fans are well catered for, with Last Resort, Raiden Fighters and R-Type. 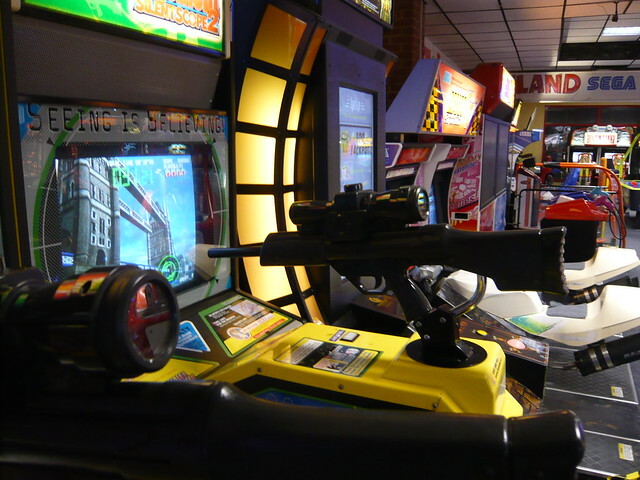 There is one entry price and all the machines are on free-play. 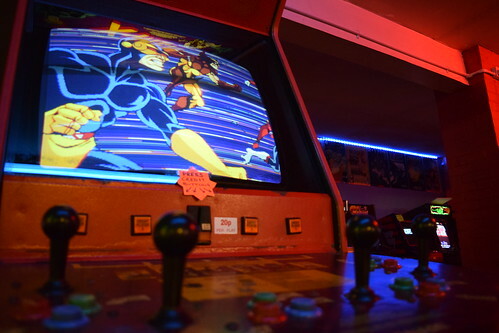 I had an awesome time revisiting some old classics. 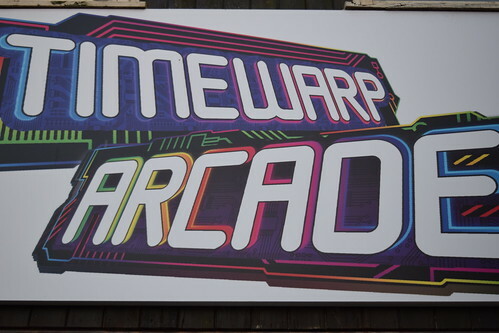 A video of Timewarp Arcade. 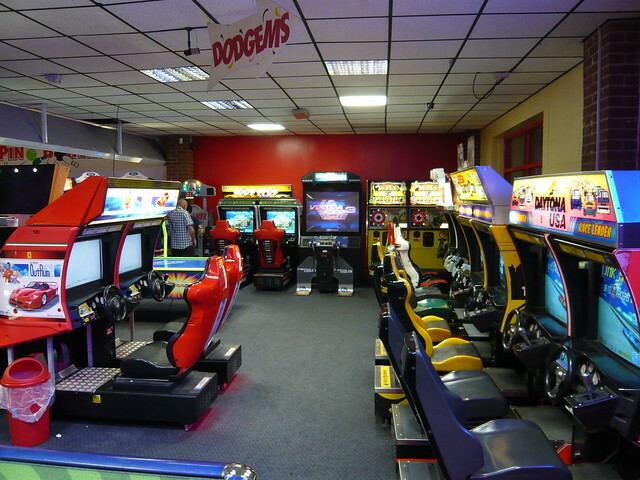 This fun fair has a large arcade, with a good selection of games. 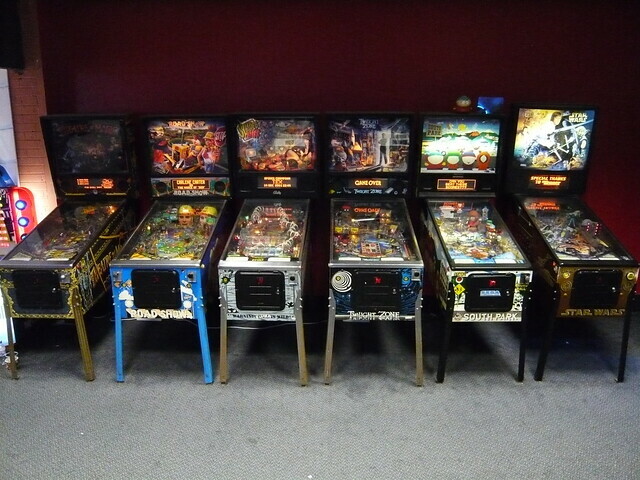 The arcade has an impressive selection of pinball tables. 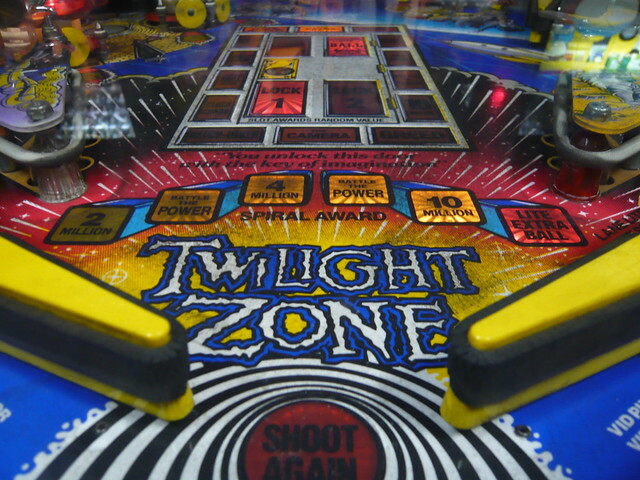 I enjoyed a few goes on The Twilight Zone. 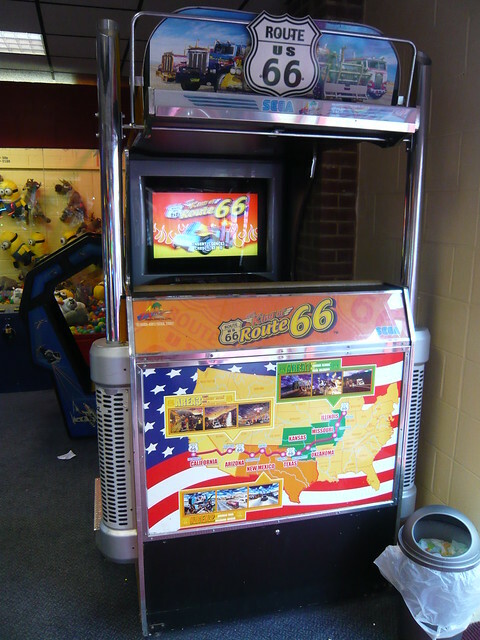 I couldn’t believe what was tucked away in the corner behind The King of Route 66. 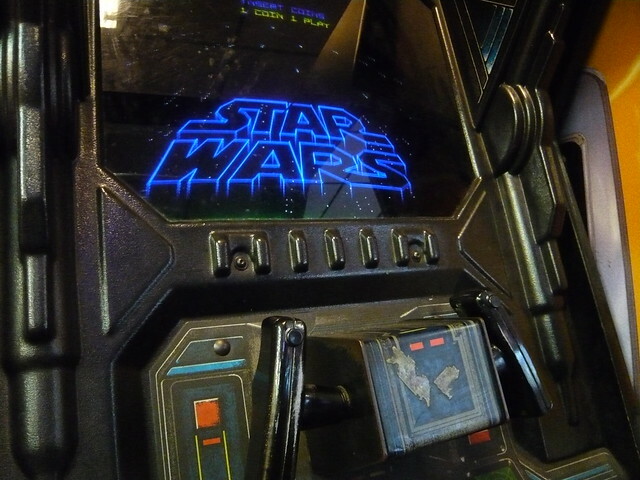 A fully working Star Wars cockpit cabinet in an arcade in 2015! 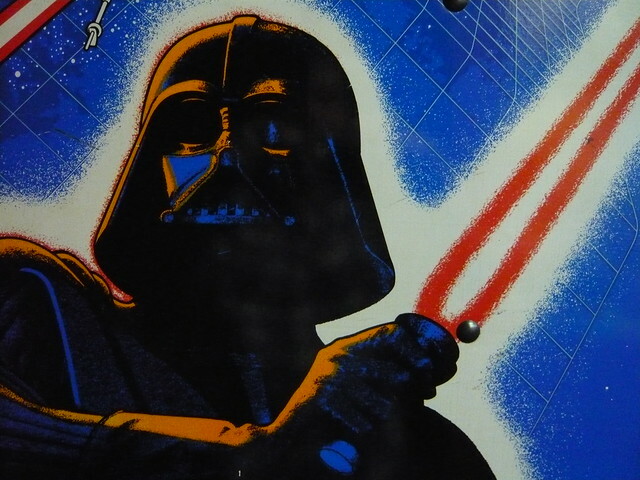 The cabinet was in really good condition. 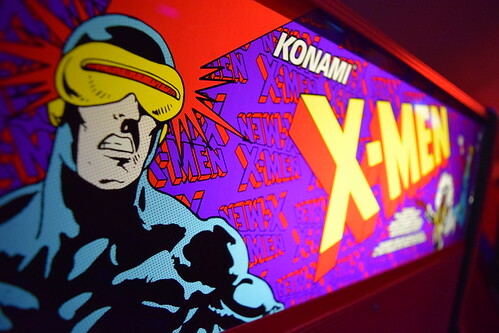 The monitor was nice and the game played perfectly. 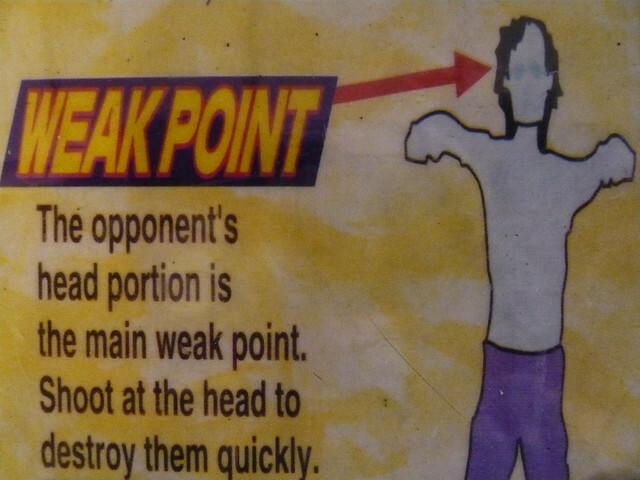 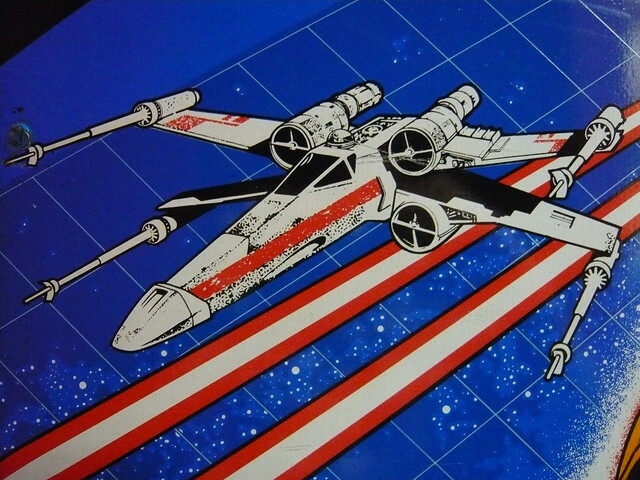 The side art was nice and vibrant. 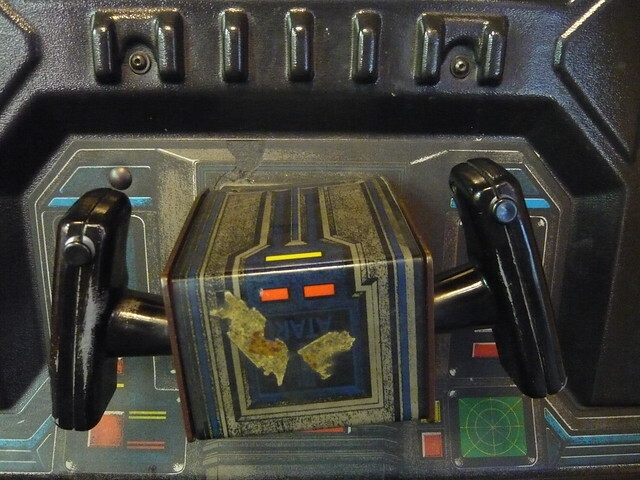 The art on the controller was a little worn, but that’s to be expected after 33 years of play! 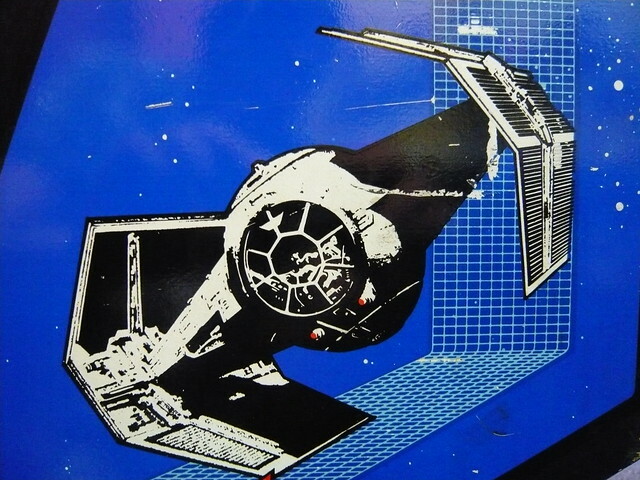 I can’t remember seeing / playing this back in the day, but I did have the home conversion on my Amstrad CPC 464. 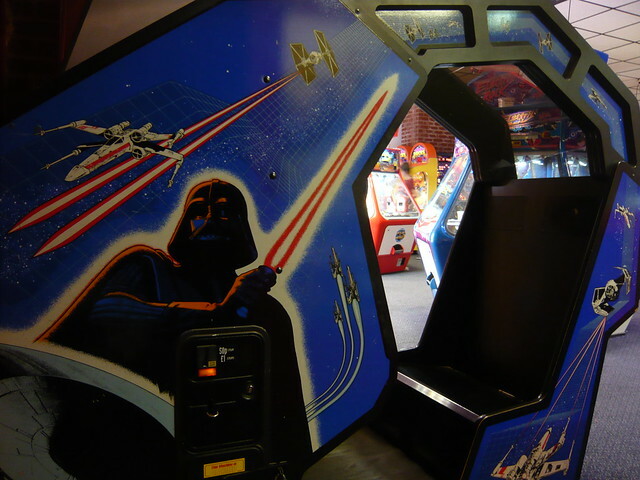 It was awesome to play the arcade original. 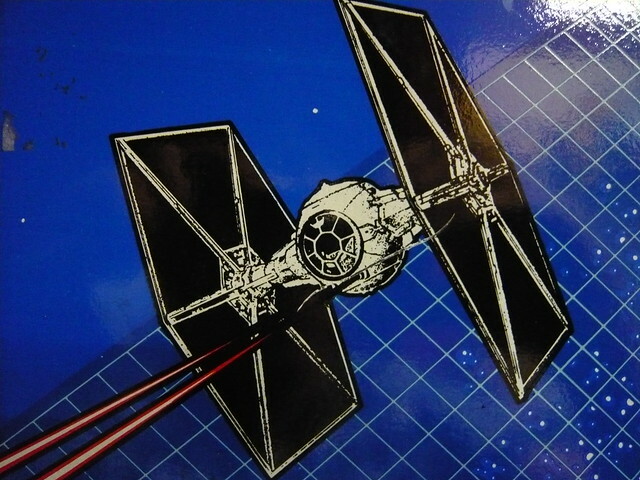 The sound was nice and loud, and the speech, sound effects and that musical score really adds to the experience. 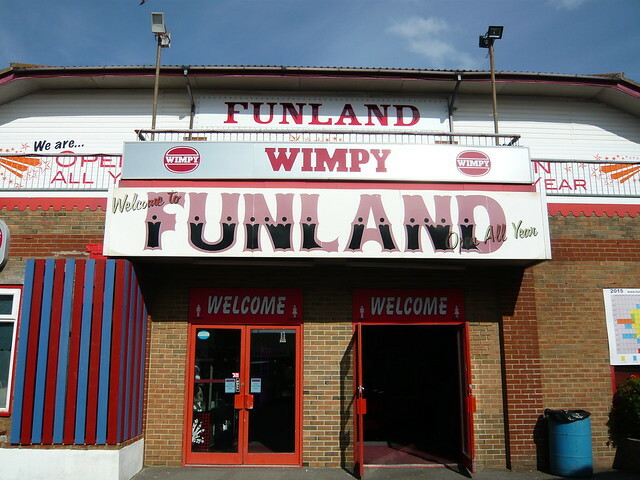 A video and some more pics of Funland. 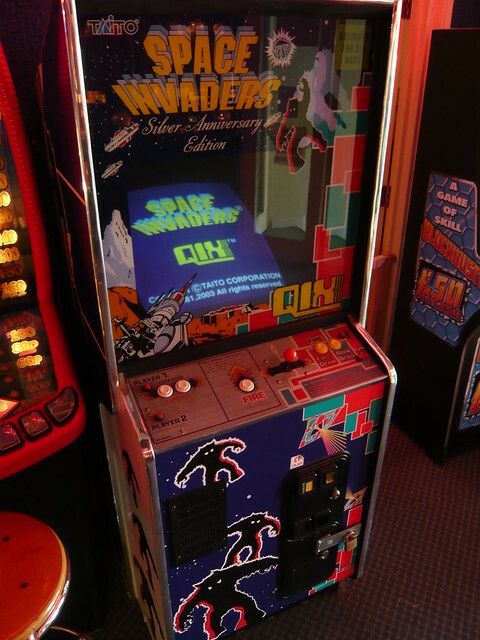 There were few games in this arcade, but they did have this Space Invaders and Qix Silver Anniversary cabinet.